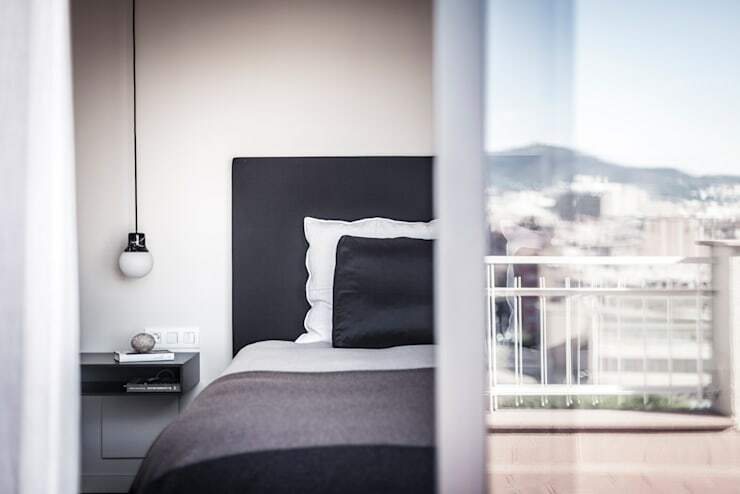 This apartment in Barcelona was renovated by the interior architects at Adela Cabre to create two distinct environments separated by a long and sleek corridor. The part of the home which receives more daylight has been reserved for the kitchen, dining, living and a guest room with bathroom. 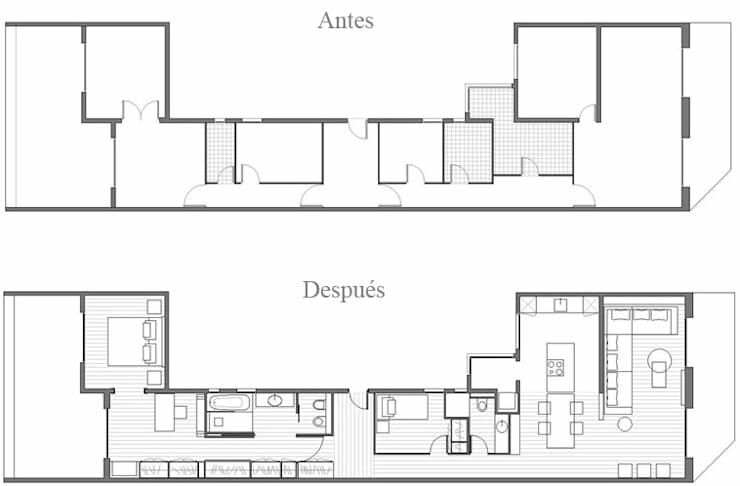 The other part is devoted to the master bedroom, bathroom, study and terrace. 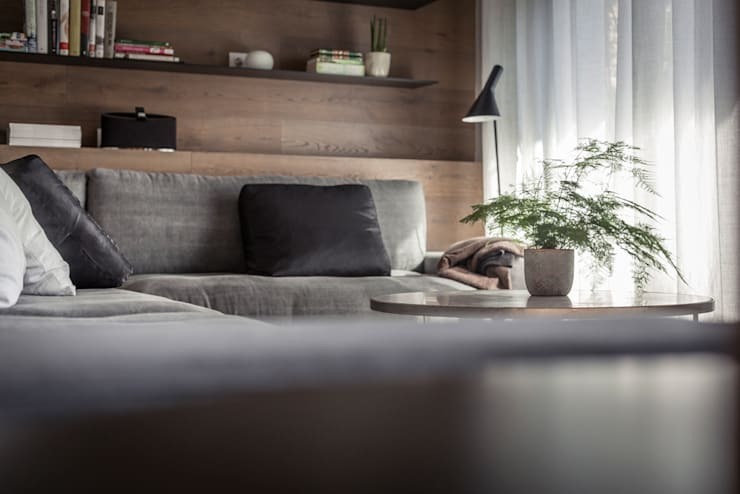 Done up mostly in soothing and neutral colours, the apartment features wooden elements for warmth and cosiness. 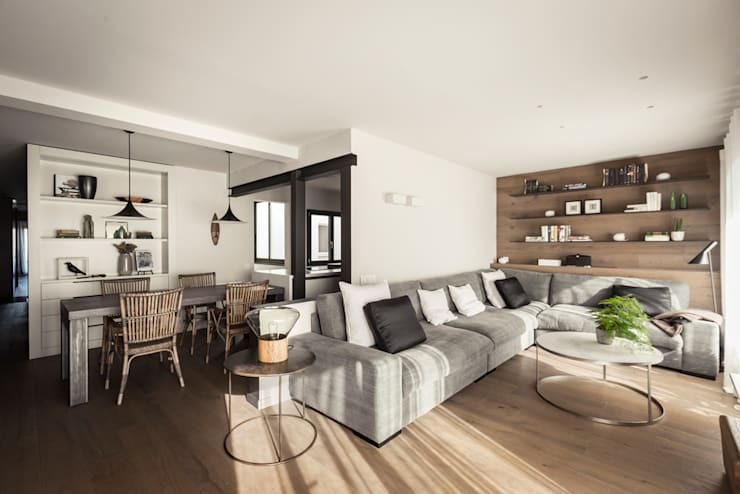 Smart integration of spaces, minimalist decor and modern storage ideas make this residence a winner all the way. 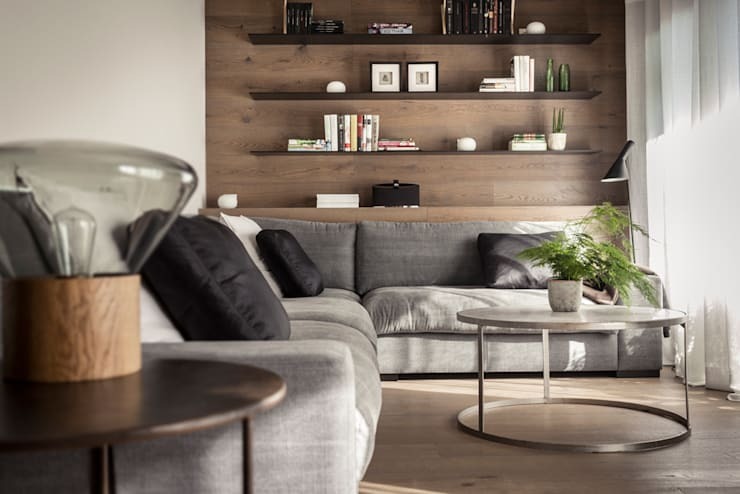 White, grey and black come together to create a stylish and trendy living space with a wooden panel featuring shelves for storage and display. Chic coffee tables and fresh potted greens add aesthetic appeal here, while the open plan layout allows diners to interact with those in the living area easily. Note how the dining area not only overlooks the living space, but also merges with the glossy white kitchen seamlessly. 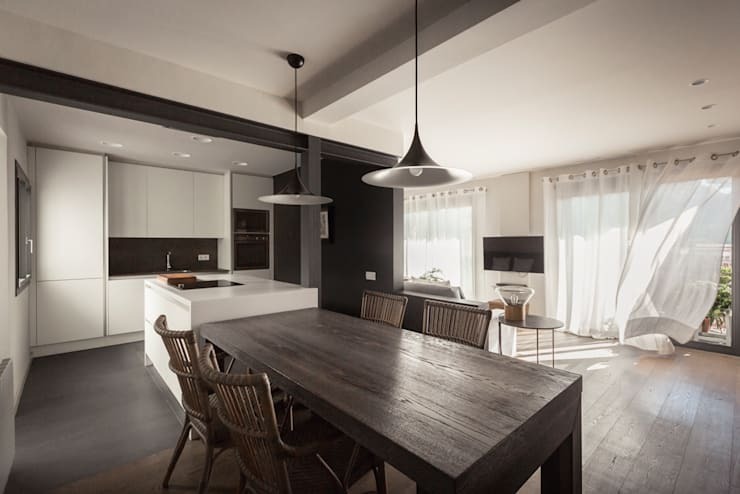 While the wooden dining table and cane chairs lend a rustic charm, the smooth cabinets of the kitchen look ultramodern. We also love the massive glass windows with soft drapes in the living area. They bring in sunlight in generous amounts. 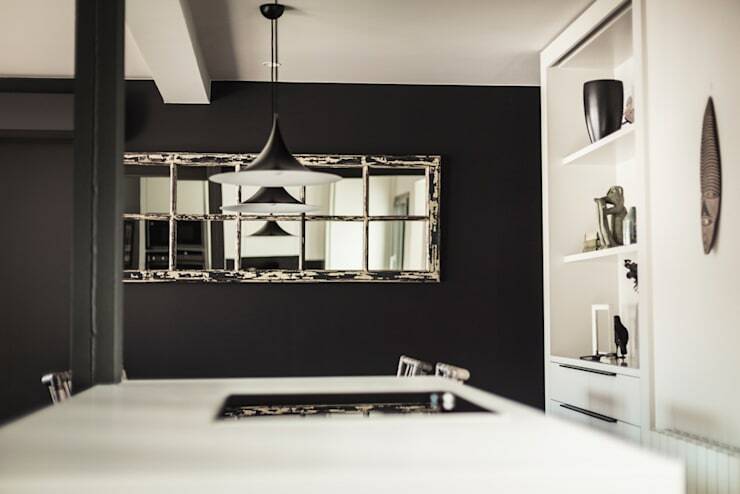 The long mirror on the grey wall at the other side of the dining table adds a hint of glamour and shine to the space. 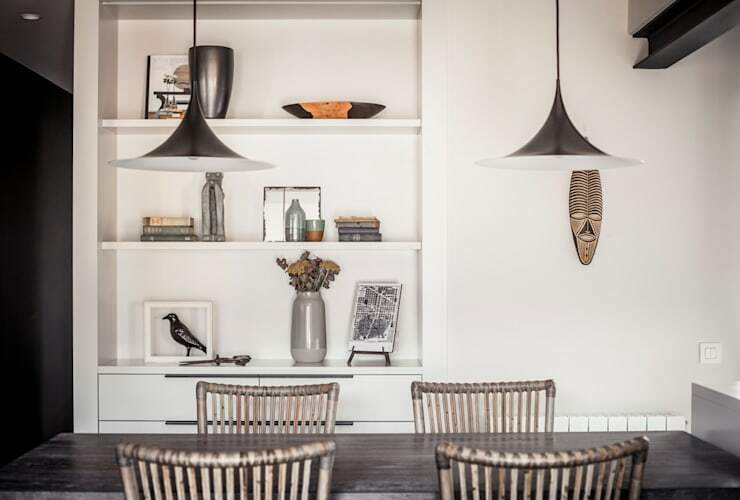 The in-built shelving unit behind the dining table is apt for storing odds and ends or displaying artefacts. The mask adds personality to the space as well. 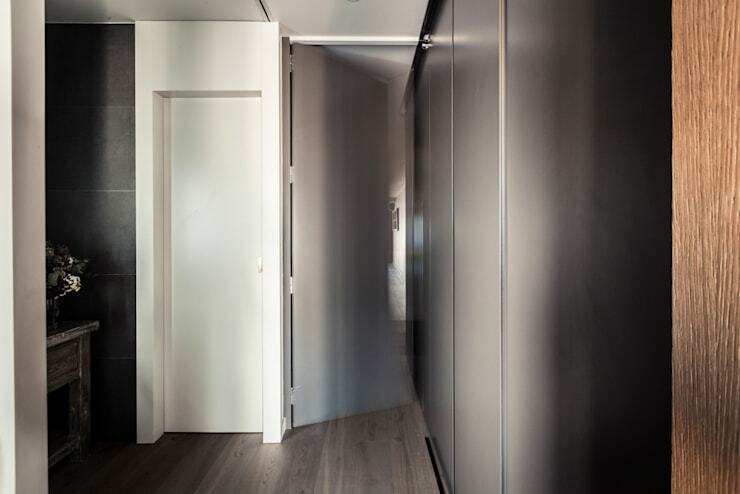 The long corridor which separates the two different environments in this home is smartly fitted with floor to ceiling grey in-built closets. 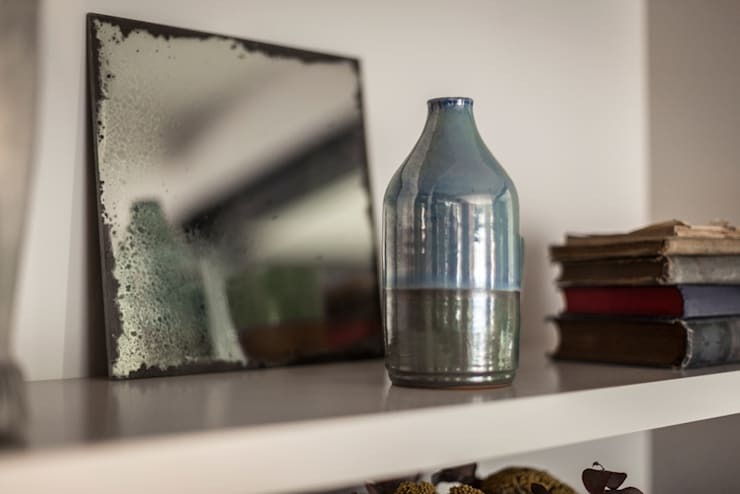 These offer tons of storage space without wasting floor area. 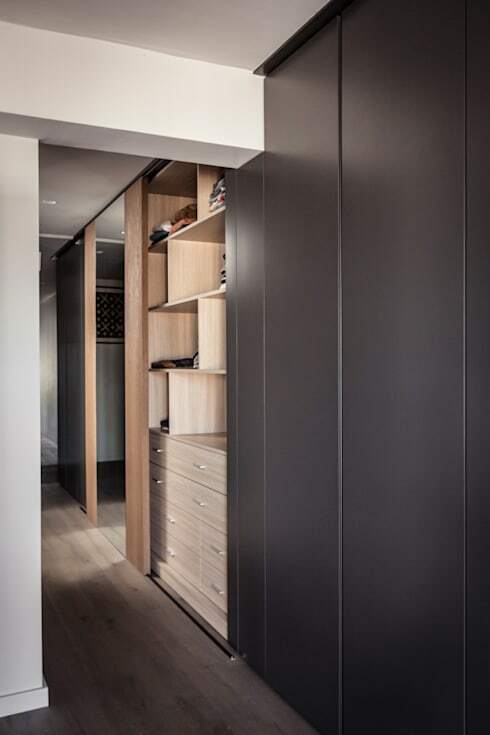 A mirrored sliding door conceals a wooden unit comprising of shelves and drawers. Ingenious right? 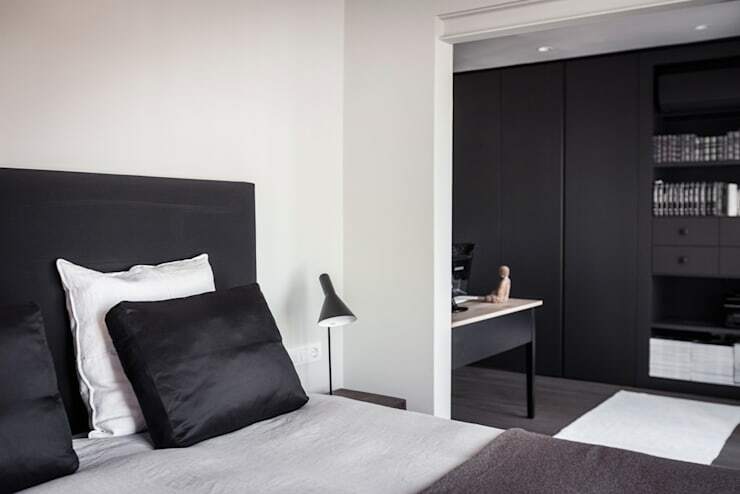 Simple but elegant furnishings make this monochrome bedroom a cosy and relaxing space. The adjoining study area is practical and comes with all you need for a productive session. 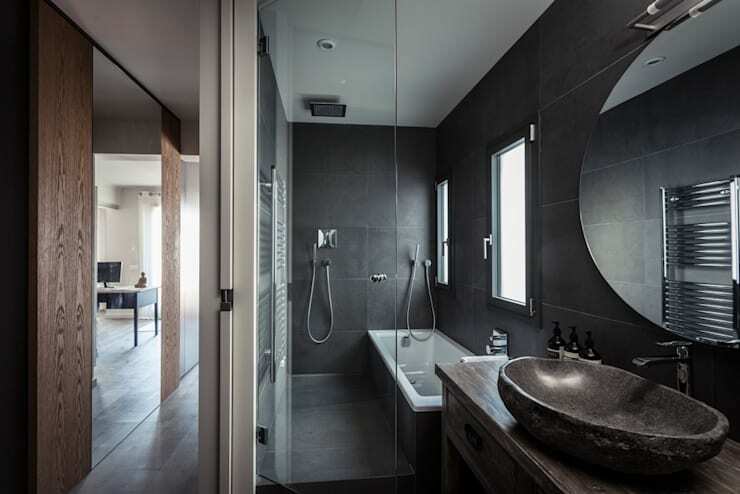 Different shades of grey lend loads of personality to the spacious bathroom, with glass panels keeping the shower and tub separate from the sink. Stylish sanitary wares, a stone basin and large windows make this a cheerful and trendy space. Here’s another tour you might enjoy - An elegant energy-efficient family home.